Well, it’s over. The Packer’s season, the sev puri, the illusion that everyone everywhere is delighted to have freshly made chaat in abundant supply in their kitchen. Sometimes chaat is too much: onion, spice, chutney, crunchy things you can’t pronounce. As America’s Chhat Chef, you also don’t do yourself any favors arriving after kickoff and serving sev puri after everyone has eaten dinner. Lessons learned, universe! Chutney Challenged commendations do go out to my onion-averse friend for trying a bite of sev puri and to her sister, who went all-in on a full piece (that’s one “biscuit,” with all the toppings) of dahi puri (that’s sev puri, topped with a dollop of yoghurt). 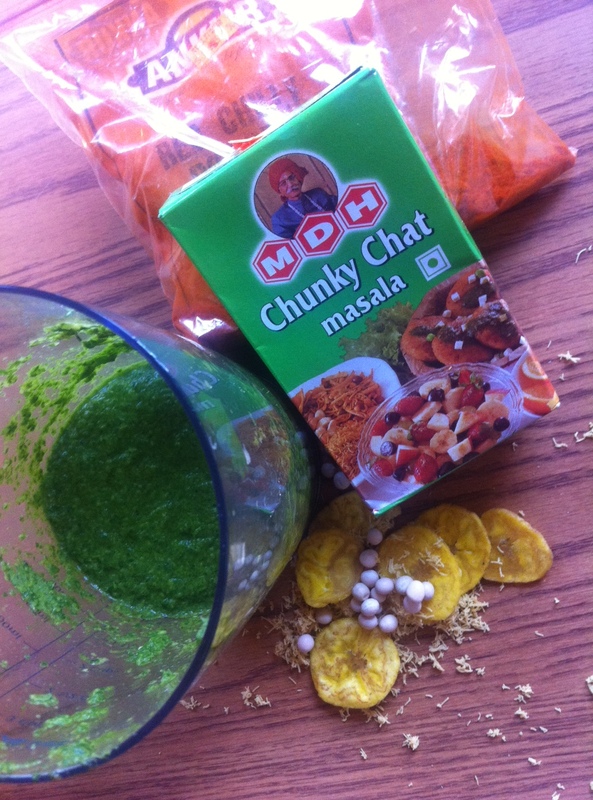 Thank you for being there for Chutney Challenged, Anne and Ellen. 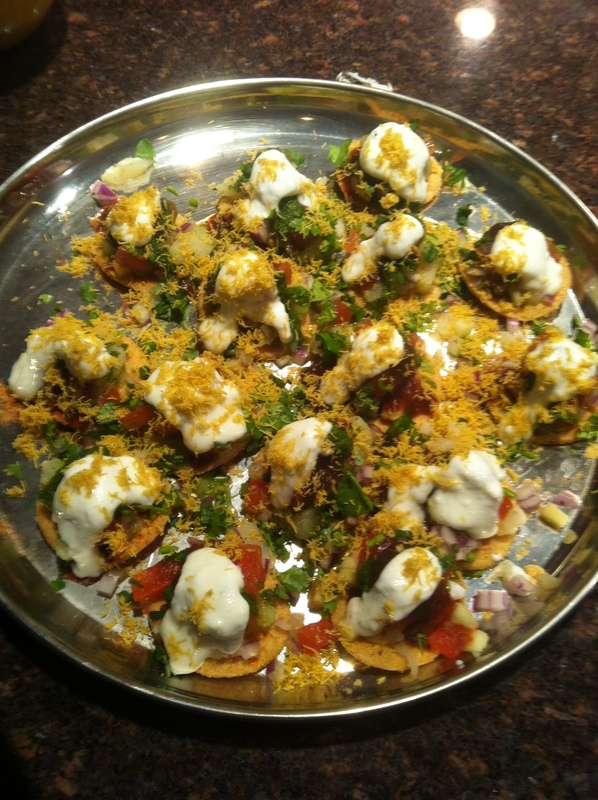 Dahi puri on a platter. I think maybe I used too much dahi and not enough sev. After Saturday’s sev-puri situation, I sevved face (good time to be reminded, sev sounds like “save”) by inviting over two other friends. Together we ate 5-6 biscuits, each. And that’s how sev puri should go down.